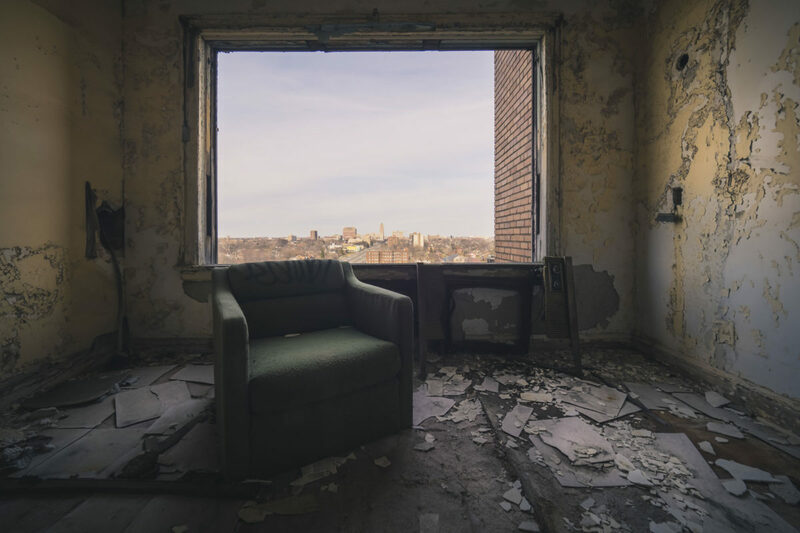 I'm home from an epic urbex trip to Detroit, and finally able to edit my images properly. So get ready for a steady stream of glorious abandonment. First up is this room from the Lee Plaza Hotel. I think it was on the 10th floor. I can't be sure because I lost count climbing the stairs. I was climbing the stairs because the elevator was out of order. Go figure. Oh, and you may have noticed that my site has been down for a while. Sorry about that! I was doing some redesign, then got distracted, then decided to put it live again. Still a lot of work to do, so please be patient!